With dog-friendly cafés, pet-friendly getaways and doggy play dates popping up around Perth, it seems our beautiful city is really feeling the puppy love. With one in two homes owning a pooch, it’s fair to say our fur babies have become an important part of the family, and the latest dog-friendly trend to take over Perth certainly takes this role seriously! At Pooky & Boo, we love seeing fellow businesses embrace their love of pooches, and our latest find is no exception. 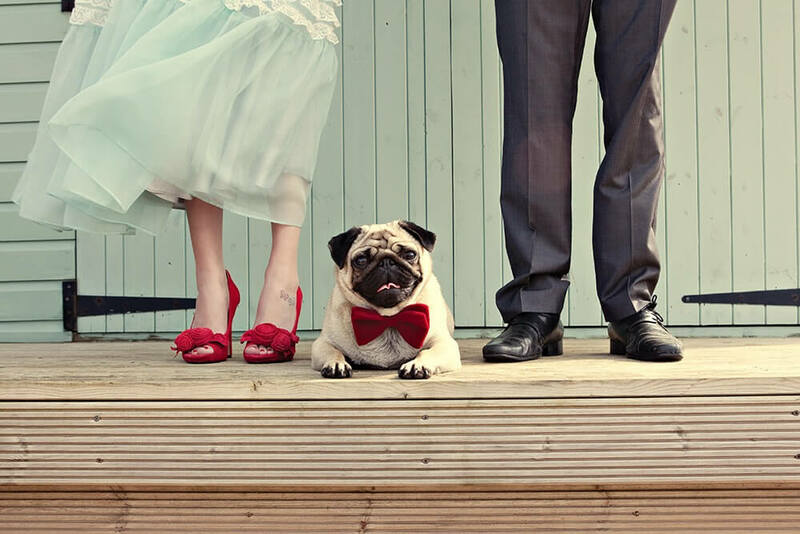 Barks in the Park allows a man’s best friend to become a man’s best man with their Perth pet wedding attendant services - and the results are just adorable! Move aside best men - it’s all about man’s best dog! At Pooky & Boo, we have found our own way to bring a bit of puppy love into the pet-loving home - through our unique range of stylish dog beds! Designed with style, comfort and your pooch in mind, our designer dog beds are inspired by contemporary trends in patterns, texture and home decor.